BIE Telangaa Inter March 2019 Exams Results: The Board of Intermediate Education, Telangana sate announced the the Intermediate Public theory Examinations Time Table for the Year 2019 in the month of December, 2018. The Students of the entire state followed the same methodology. First year exams to be held from February 27 to March 16, 2019 and Second year exams to be held from February 28 to March 18, 2019. All examinations held from 9 am to 12 Noon. all these examinations were conducted successfully by the Board of Intermediate Education, Telangana state. The spot evaluation of Intermediate examinations started from March 8 and it had been completed in March last week. The 1st year results are expected to be declared in April 2019 after Loksabha elections, 2nd year inter results will be released along with 1st year results by 10 am. These results will be released by the BIE officials and results will be uploaded on its official website. 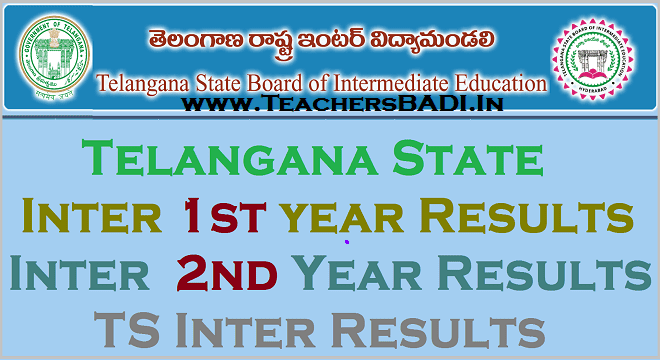 Telangana Intermediate 1st year, 2nd year exam 2019 Results to be declared in April: The Board of Intermediate Education of Telangana (TS BIE) is likely to announce the results for the first year intermediate examinations in April, 2019. Candidates who have been waiting for the results of the exams, which were conducted in March 2019, can soon download them from the official website. Students who appeared for the exams were tested on their chosen streams in the sciences or humanities. In addition to this, candidates had to give at least three language paper and one Ethics and Human Values paper. The Board of Intermediate Education of Andhra Pradesh will release the results soon of first and second year. The exams take place in three parts Part-I English, Part-II Second Language and Part-III Group subjects. The minimum score to pass each paper is 35 per cent.